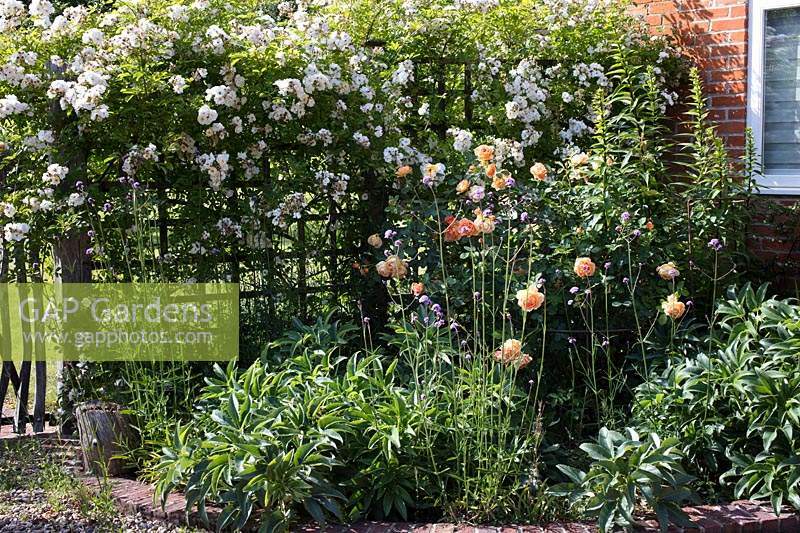 Flowerbed by house, planted with Rosa 'Lady Emma Hamilton', Helleborus argutifolius, and Rosa 'Wedding Day' growing over trellis fence behind. Hampshire, UK. Image 1314099 has been added to your cart.